New Delhi : Hours after Congress Vice President Rahul Gandhi and Uttar Pradesh Chief Minister Akhilesh Yadav took out a joint road show here on Sunday, Samajwadi Party (SP) patriarch Mulayam Singh Yadav trashed the alliance and said he would not campaign for it. 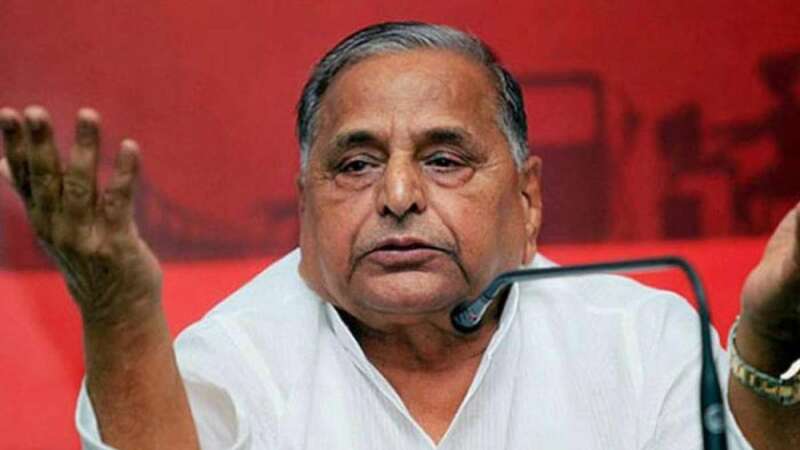 Noting he had advised his son against entering into an electoral alliance with the Congress, Mulayam Singh said it was most unfortunate that Akhilesh Yadav had done so in his quest to grab power. He also announced that he will not campaign for the alliance in the state assembly elections. "Where will the workers who have worked hard in the past go for the next five years," he said while expressing his regret once again that SP had chosen to this course of action. "The 2012 election was fought on my face and we got a majority. I was to become the Chief Minister but I opted for Akhilesh and look what he has done," he rued. Earlier in the day, at a joint press conference, Akhilesh Yadav and Rahul Gandhi, asked if they would take along leaders like Congress President Sonia Gandhi and Mulayam Singh with them during campaigning, had side-stepped it. While Akhilesh Yadav had responded by saying that he would prefer having their blessings while Gandhi said that he would not like to discuss operational matters in public. The decision of Mulayam Singh is likely to impact on the alliance as he is still a very important name in state politics. UP goes to polls between February 11 and March 8 in a seven-phased election.